Tiling and slating works are carried out by our highly competent workforce to the highest standard. There are many different types and sizes of roof tiles and slates which are used depending on the type and size of project. Felt Roof Tiles (shingles) are an alternative to traditional roofing felt, which can be used for a number of different types of pitched roofs. To see more visit IKO Felt Shingles. Metrotile is a Lightweight Steel Roofing system. This system can be used on residential, commercial, leisure or retail buildings, many people have found Metrotile to be the ideal roofing system for their projects. Being practical, economical and sustainable, Metrotile is up to seven times lighter than the traditional roof materials, yet offers unmatched protection and security. Aesthetically indistinguishable from traditional roofing materials, a Metrotile roof is an elegant choice for any building. In addition to this, each Metrotile profile is made with sustainability in mind, providing a lifetime of unsurpassed protection. When the profile reaches the end of it’s long natural life, it can be fully recycled. 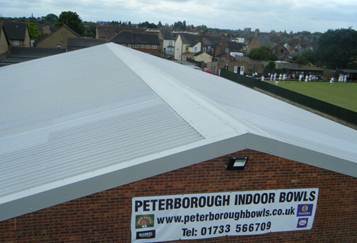 Pitched roofs can also be cladded with a metal cladding profile sheet or over-roofed with a metal cladding profile sheet.